MADISON, Wis., March 19, 2019 /PRNewswire/ -- Kathleen Sebelius, the 21st Secretary of the U.S. Department of Health and Human Services (HHS) from April 2009 to June 2014 and governor of Kansas from 2003 to 2009, joined the Board of Directors of Exact Sciences Corp. (Nasdaq: EXAS), a leader in detecting cancer at its earliest, most treatable stages. "Secretary Sebelius understands the value of detecting cancer earlier, as well as the systemic challenges and opportunities to improve health care," said Kevin Conroy, chairman and CEO of Exact Sciences. "Throughout her time in public service, she always kept the needs of patients in the forefront. As we work to deliver life-changing innovations in earlier cancer detection, her experience and perspectives will be essential to helping us develop practical, next-generation tests for the screening, diagnosis and monitoring of cancers." "Detecting cancer at earlier stages improves outcomes and the quality of care delivered to millions of Americans. By finding disease, or the precursors of disease, early, we can avoid costly, acute-care situations that take a tremendous toll on patients, families and our economy," said Sebelius. "It's exciting to see these kinds of advances coming to market and to have the opportunity to take part in Exact Sciences' efforts." 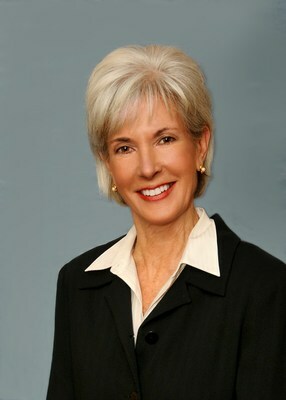 Sebelius currently serves as CEO of Sebelius Resources LLC, a strategic consulting firm that advises private companies, non-profit organizations, and investors. She is a director of Dermira, Inc., a biopharmaceutical company, Myovant Sciences Ltd., a biopharmaceutical company, and the Kaiser Family Foundation. She also co-chairs the Aspen Institute Health Strategy Group and serves on advisory boards for a number of companies and institutions. Exact Sciences Corp. is a molecular diagnostics company focused on the early detection and prevention of some of the deadliest forms of cancer. The company has exclusive intellectual property protecting its non-invasive, molecular screening technology for the detection of colorectal cancer. For more information, please visit the company's website at http://www.exactsciences.com, follow Exact Sciences on Twitter @ExactSciences or find Exact Sciences on Facebook.